Every separation-of-powers case quickly encounters a fundamental threshold inquiry that remains surprisingly difficult, even after almost 230 years of practice under the United States Constitution: what is the nature—legislative, executive, or judicial—of the contested power exercised? The three cognate vesting clauses in Articles I, II, and III use these undefined terms as if they are intended to have substantive, separate content. This tripartite division, which is inefficient by design, is built into our constitutional system to safeguard individual liberty by assuring that powers to legislate, execute, and adjudicate the laws do not all fall into a single set of (potentially) oppressive hands. In many separation-of-powers cases, whether the challenged institutional arrangement has honored that principle turns on the categorization or characterization of the powers at stake. * Professor of Law, Villanova University, Charles Widger School of Law. 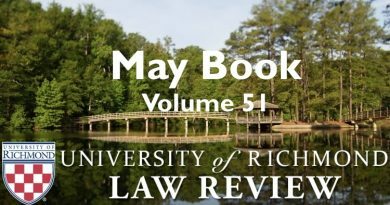 The author presented a version of this article during the University of Richmond Law Review’s Symposium: Defining the Constitution’s President Through Legal & Political Conflict (Oct. 27, 2017). I thank Todd Aagaard for his comments and Stephanie Mersch for her research assistance.